Eric J. Thomas, M.D. is a Senior Attending at Middlesex Hospital and has been Chief of the Section of Dermatology of the Department of Medicine at the Hospital for many years. He is a Diplomat of the American Board of Dermatology and a Fellow of the American Academy of Dermatology. He has worked with Middlesex Hospital Cancer Center in implementing the annual skin cancer screening clinic. Dr. Thomas has published articles in the medical literature on the genetics of skin cancer as well as on the cosmetic aspects of skin care. 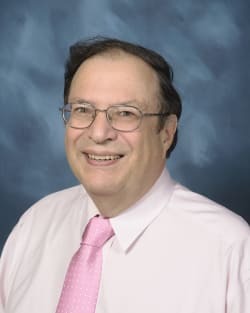 He graduated from Fordham College; Cornell University Medical College; interned at Greenwich Hospital in Greenwich, Connecticut and trained in Dermatology at New York Hospital-Cornell Medical Center. He also provided dermatology surgery and consultation services at Memorial Sloan-Kettering Medical Center in Manhattan.